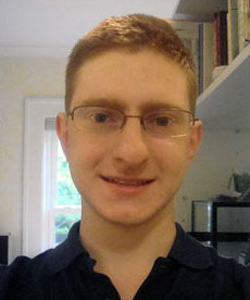 2/4/13 A university in New Jersey plans to create a centre named after Tyler Clementi, the gay student who killed himself after his roommate used a webcam to spy on him kissing another man. Rutgers University said the Tyler Clementi Centre will create programmes to help people transition to college. It will also offer lectures and training on social media, youth suicide, bullying and other topics. The centre is a collaboration with the Tyler Clementi Foundation, begun by the student’s parents. The 18-year-old killed himself by jumping off a bridge in September 2010, just weeks into his first year at the university. The case attracted national attention in the US, including comment from President Obama, and prompted anti-bullying measures. Roommate Dharun Ravi was convicted last year of invasion of privacy, bias intimidation and other counts and served less than a month in jail. He is now appealing his conviction. The trial heard that Ravi set up a webcam in his dormitory room in September 2010 and filmed Clementi kissing another man. Ravi then tweeted about it and tried to catch Clementi in the act again two days later. Prosecutors said about half a dozen students saw the video. The trial heard that Ravi had planned to “expose” Clementi’s activity and that he acted purposefully and maliciously. Prosecutors said there was abundant proof that Ravi had a problem with Clementi being gay. But the defence argued that Ravi, a first-year student at the time, was not homophobic and was simply behaving like an immature “kid”.